External Menace were formed in Coatbridge, Scotland in 1979 by guitarist: John “Sneddy” Sneddon and vocalist: Wullie Hamill. Heavily influenced by The Clash/ Ramones and Dead Boys, External Menace caught the eye of Beat The System Records who released the “Youth Of Today” and “No Views” EPs in 1982 and 83. Both singles did well in the UK Punk Charts., but in 1987 Wullie was tragically killed in an accident on the M8 motorway. After numerous lineup changes the band split up in the late 1980’s. In 1995 Captain Oi! records released a limited edition compilation CD titled “Pure Punk Collection”. 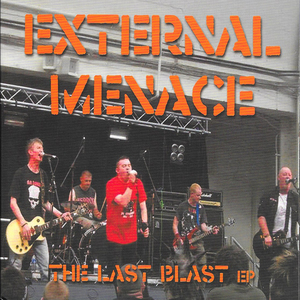 This release sparked new interest in the band and opened External Menace to a new and younger punk audience. With the addition of new vocalist John “Welshy” Welsh, the band then recorded a series of singles and a new LP/ CD “The Process Of Elimination” in 1998. With the band at the top of their game, they would play the 1st “Holidays in the Sun” festival at Winter Gardens in Blackpool and do 4 European tours between 1997 & 98. While on tour in Europe in 98’ the band suffered a massive setback in Den Haag, Netherlands as Welshy was attacked by Dutch football hooligans outside their gig. Welshy was beaten with a baseball bat and sustained injuries to his face and head, the injuries left him within inches of death. Welshy spent time in hospital and didn’t return to External Menace for a few years. The band then entered Blue Print studios in Manchester to record a new CDEP for Creep Records in 2014. 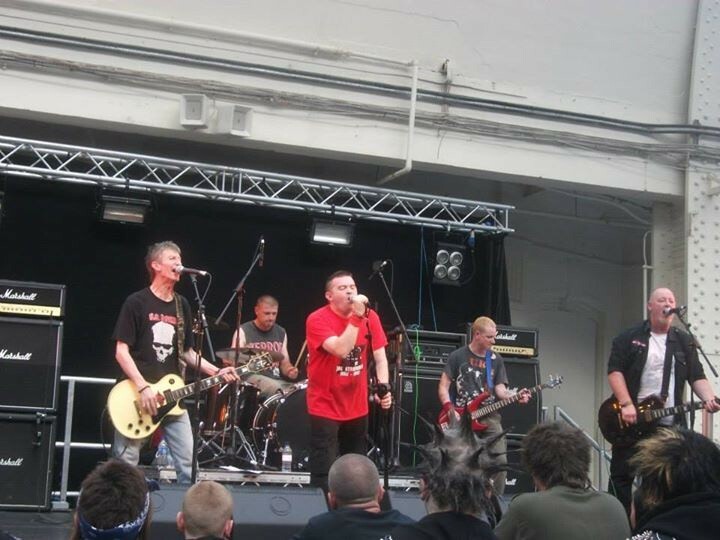 External Menace would also have split 7” releases with American bands “The Droogettes” and “Violent Society” on Rebel Sound and Creep Records. 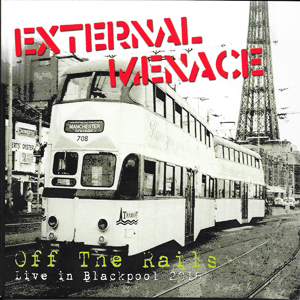 This recording: “Off The Rails: Live at Live At Blackpool 2015” is the final performance by External Menace and serves as a perfect reminder of the blistering, raw and powerful recordings the band were always known for. External Menace has carved a unique mark in punk and these final recordings are some of their finest. Stand out tracks like “Don’t Conform”, “Main Street Riot” and the punk anthem “Shocktrooper”. “Off The Rails: Live at Live At Blackpool 2015” also features guest vocals by Pat Society (Violent Society) on the final track “Someday”. “Off The Rails: Live at Live At Blackpool 2015” comes with a full page color fold out with behind the scenes photos, liner notes and complete discography of the band. 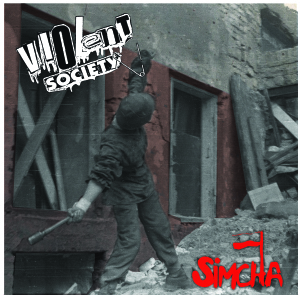 Violent Society / External Menace Split 12"